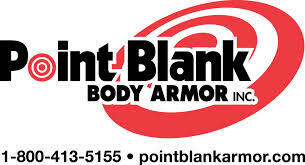 Point Blank Solutions Inc. will supply the U.S. Air Force with Vision body armor under a contract worth about $100,000. The Florida concern said the order for 200 NIJ .06, Vision body armor systems (level IIIA) came from the Air Force, Air Force Material Command and production will begin immediately. “The Air Force based this competitive solicitation on our Vision body armor series due to the unique properties of our system, namely, temperature-regulating technologies and antimicrobial electroshock protection, which are differentiating technologies our company offers to all customer segments,” said retired U.S. Army Col. Patrick Stallings, executive vice president, DoD operations. Vision is the first Total Body Armor System that integrates Hi-Performance ballistic materials with an innovative carrier design featuring temperature regulating technologies, antimicrobial protection and Point Blank’s exclusive Self-Suspending Ballistic System, which provides optimal protective coverage. The company said the innovations result in significantly cooler, dryer and more comfortable all-day performance.